Rush.com was designed and developed through a partnership with Montreal-based Plank Design and Philadelphia-based Happy Cog. Read about the details of the redesign and the partnership. Throughout the site, many photos are provided by John Arrowsmith. On the home page, the background photo is courtesy of Flickr user Paul Bica and is used under the Creative Commons Attribution 2.0 Generic license. The photo was cropped. On the discography page, the background photo is courtesy of Flickr user Tony Pittari and is used by permission. The photo was cropped and made black and white. On the St. Louis show page, the background photo is courtesy of Flickr user Philip Leara and is used under the Creative Commons Attribution 2.0 Generic license. The photo was cropped. On the Tulsa show page, the background photo is courtesy of Flickr user Kool Cats Photography and is used under the Creative Commons Attribution 2.0 Generic license. The photo was cropped. On the Lincoln show page, the background photo is courtesy of Flickr user Nan Palmero and is used under the Creative Commons Attribution 2.0 Generic license. The photo was cropped. On the St. Paul show page, the background photo is courtesy of Flickr user Michael Hicks and is used under the Creative Commons Attribution 2.0 Generic license. The photo was cropped. On the Dallas show page, the background photo is courtesy of Flickr user emerzon and is used under the Creative Commons Attribution 2.0 Generic license. The photo was cropped. On the Houston show page, the background photo is courtesy of Flickr user Katie Haugland and is used under the Creative Commons Attribution 2.0 Generic license. The photo was cropped. On the New Orleans show page, the background photo is courtesy of Flickr user Lauren Mitchell and is used under the Creative Commons Attribution 2.0 Generic license. The photo was cropped. On the Tampa show page, the background photo is courtesy of Flickr user John T Howard and is used under the Creative Commons Attribution-ShareAlike 2.0 Generic license. The photo was cropped. On the Bristow show page, the background photo is courtesy of Flickr user Mark Sebastian and is used under the Creative Commons Attribution-ShareAlike 2.0 Generic license. The photo was cropped. On the Buffalo show page, the background photo is courtesy of Flickr user John Tornow and is used under the Creative Commons Attribution 2.0 Generic license. The photo was cropped. On the Chicago show page, the background photo is courtesy of Flickr user O Palsson and is used under the Creative Commons Attribution 2.0 Generic license. The photo was cropped. On the Detroit show page, the background photo is courtesy of Flickr user Ray Dumas and is used under the Creative Commons Attribution-ShareAlike 2.0 Generic license. The photo was cropped. On the Toronto (I) show page, the background photo is courtesy of Flickr user Paul Bica and is used under the Creative Commons Attribution 2.0 Generic license. The photo was cropped. On the Toronto (II) show page, the background photo is courtesy of Flickr user Paul Bica and is used under the Creative Commons Attribution 2.0 Generic license. The photo was cropped. On the Montreal show page, the background photo is courtesy of Flickr user Julia Manzerova and is used under the Creative Commons Attribution-NoDerivs 2.0 Generic license. The photo was cropped. On the Boston show page, the background photo is courtesy of Flickr user Chase Elliott Clark and is used under the Creative Commons Attribution 2.0 Generic license. The photo was cropped. On the Philadelphia show page, the background photo is courtesy of Flickr user Michael Righi and is used under the Creative Commons Attribution 2.0 Generic license. The photo was cropped. On the New York show page, the background photo is courtesy of Flickr user Tiago and is used under the Creative Commons Attribution 2.0 Generic license. The photo was cropped. On the Kansas City show page, the background photo is courtesy of Flickr user Kari Sullivan and is used under the Creative Commons Attribution 2.0 Generic license. The photo was cropped. On the Denver show page, the background photo is courtesy of Flickr user Matthew McCullough and is used under the Creative Commons Attribution 2.0 Generic license. The photo was cropped. On the Salt Lake City show page, the background photo is courtesy of Flickr user Manish Prabhune and is used under the Creative Commons Attribution 2.0 Generic license. The photo was cropped. On the Calgary show page, the background photo is courtesy of Flickr user davebloggs007 and is used under the Creative Commons Attribution 2.0 Generic license. The photo was cropped. On the Vancouver show page, the background photo is courtesy of Flickr user Jon Rawlinson and is used under the Creative Commons Attribution 2.0 Generic license. The photo was cropped. On the Seattle show page, the background photo is courtesy of Flickr user Andrew E. Larsen and is used under the Creative Commons Attribution-NoDerivs 2.0 Generic license. The photo was cropped. On the Portland show page, the background photo is courtesy of Flickr user Ian Sane and is used under the Creative Commons Attribution 2.0 Generic license. The photo was cropped. On the Las Vegas show page, the background photo is courtesy of Flickr user Moyan Brenn and is used under the Creative Commons Attribution 2.0 Generic license. The photo was cropped. On the Phoenix show page, the background photo is courtesy of Flickr user Kevin Dooley and is used under the Creative Commons Attribution 2.0 Generic license. The photo was cropped. On the Irvine Meadows show page, the background photo is courtesy of Flickr user tdlucas5000 and is used under the Creative Commons Attribution-ShareAlike 2.0 Generic license. The photo was cropped. On the Los Angeles show page, the background photo is courtesy of Flickr user Angelo DeSantis and is used under the Creative Commons Attribution 2.0 Generic license. The photo was cropped. 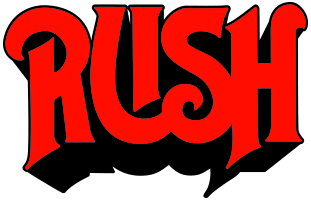 Special thanks to Ed Stenger from rushisaband.com, John Patuto from cygnus-x1.net, and Eric Hansen at Power Windows for their ongoing curation of Rush-related content. Wikipedia’s text content has been used throughout Rush.com under the terms of the Creative Commons Attribution Share-Alike license. In several cases, the original work has been modified and/or augmented.